Ginger beer is widely home-brewed and consumed throughout Africa. Ginger beer makes a unique flavorsome marinade for ginger beer grilled chicken recipe. Add all ingredients to a large pot, mix well and simmer 10 minutes. Allow mixture to cool and marinate chicken in a sealed plastic bag at least 8 hours in the refrigerator. 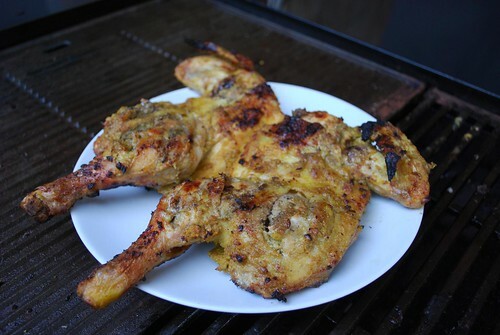 After marinating grill, bake or fry chicken for a unique delicious taste.